Cult Nails Divas & Drama Summer 2012 Nail Polish Collection. Give your nails a divalicious allure that will make jaws drop with the help of the newest nail polishes from Cult Nails and titled suggestively Divas and Drama. Browse through the fashionable hues and make sure your perfectly polished nails don't go by unobserved this summer 2012 season! 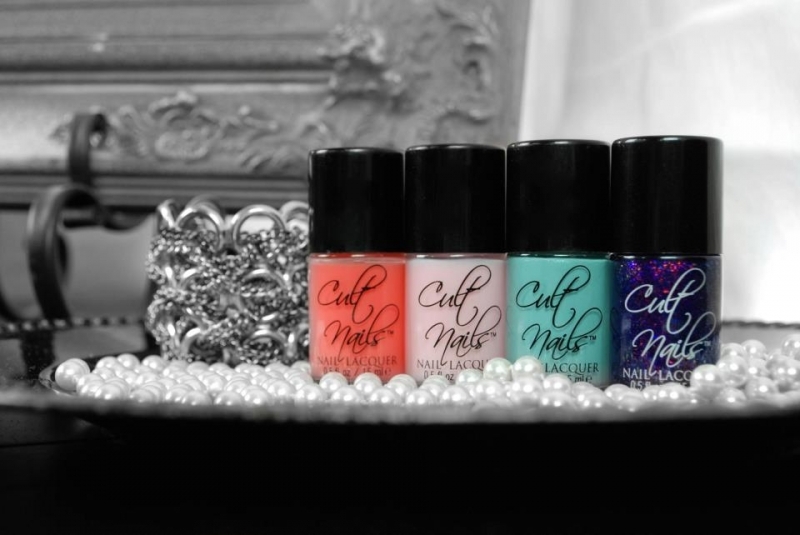 Just when we thought things couldn't get any better when it comes to nail polish, Cult Nails unveiled its latest nail polish collection titled Divas & Drama and the result proves us wrong as apparently the possibilities, when it comes to fashionable nail color, are endless. Putting together the season's hottest hues, the collection dares you to resist the temptation to pamper your nails to perfection, so let yourself be carried away by style and pick up the new Cult Nails Divas & Drama nail polish collection. The collection is already available for purchase and retails for $40 for the entire four piece collection, so if you're a true nail art enthusiast, make sure these fab hues don't miss from your seasonal nail polish collection.